LOCUS is a national network of real estate developers, investors, and professionals, united to advance walkable urban development in communities across the country. You are invited to join us. Together LOCUS members work to increase funding and financing for smart growth development; improve regulations at all levels of government to support smart growth; and change federal programs to improve housing and transportation options for all Americans. LOCUS members also enjoy a number of benefits. 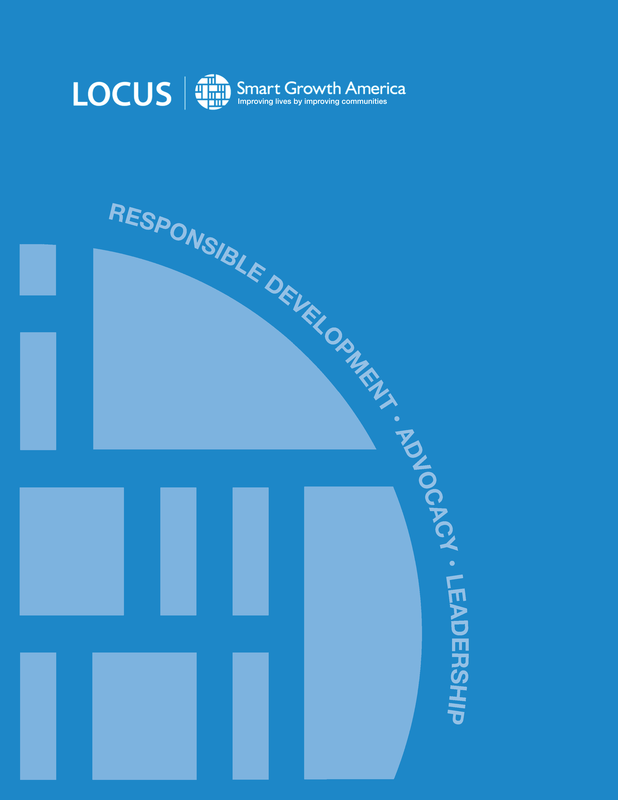 Becoming a LOCUS member will give you a voice in state capitols and in Washington; opportunities to network with like-minded professionals; new ideas, resources, and learning opportunities; and a platform to showcase your projects and enhance your commitment to triple-bottom-line development. Influence Policymakers: Meet with federal, state and local policymakers as part of LOCUS’s Advocacy Days. Influence national, state and local public policy through one of LOCUS’s many policy working groups and state chapters. Guide policy: LOCUS is the chief advisory group to Smart Growth America on real estate issues. Members provide expert advice to Smart Growth America on a variety of technical and policy issues. In-depth analysis: Members receive LOCUS Federal Financing Toolkit, an annual guide to federal funding and financing for real estate projects. Meet elected leaders in your area: Members enjoy special invitations to LOCUS events that connect LOCUS real estate developers with like-minded elected officials in cities across the country. Meet C-Suite executives: Monthly call open only to Steering Committee and qualified C-level executives. Join the national conference: Enjoy discounted rates to the annual LOCUS Leadership Summit, the premier annual conference bringing together real estate developers, investors, elected officials and Washington thought leaders all in one place for education, networking and advocacy. Connect online: Meet and connect with fellow LOCUS members through our online membership directory. Network locally: Join additional networking events throughout the year in cities across the country. The latest news: Stay up to date with what’s happening in smart growth through our monthly newsletters. Steering Committee members also receive legislative bulletins with detailed discussion of what’s happening in Washington. Digital resources: Learn best practices from other developers and see a database of RFPs with our members-only website. Learn from fellow members: Explore today’s real estate challenges and opportunities with our online education forums. Expert advice: Our expert staff is available for advisory services and technical assistance tailored specifically to your company’s priorities. Get out in front: Be among the first to see Smart Growth America’s new research and reports. Develop professionally: Receive discounted rates for LOCUS’s webinars and educational events. Enhance your reputation: Be featured in our monthly newsletters or the annual LOCUS Developers Showcase, which highlights the best developers and top regions for walkable, urban development that meet LOCUS’s triple-bottom-line philosophy. Showcase your city: Steering Committee members are eligible to host quarterly meetings in their region. Speak nationally: Provide the smart growth developer’s perspective at conferences and forums across the country. Download our membership packet for more specific information about the benefits of LOCUS membership.